Get a guided learning “prescription” after every adaptive exam simulation and shore up weak areas of knowledge in no time. The idea behind our Prescriptive Remediation feature is to streamline the process of learning and enable you to make noticeable progress in the most time-efficient manner. Let us provide you with the fastest, most immediately gratifying way to overhaul your study habits and improve your knowledge quality. If you’ve ever found yourself overwhelmed by the sheer volume of medical knowledge there is to grasp while preparing for your board exams or fulfilling Maintenance of Certification (MOC) requirements, you will benefit greatly by taking advantage of Med-Challenger’s unique Prescriptive Remediation feature. Simply take an exam and we’ll do the rest! Don’t spend too much time worrying whether or not you’re answering the questions correctly or incorrectly right out of the gate. The results of your exam simulation will serve as a baseline from which we can assess what you know, what you don’t know, where you could stand to improve, and how. With those results, we will prescribe the best course of action. The ultimate goal is knowledge retention. 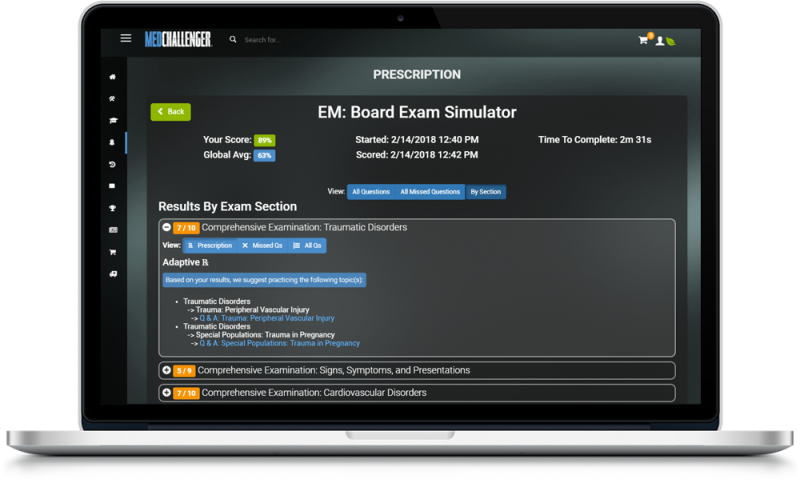 The beauty of our Prescriptive Remediation feature is that it’s automatically built in to all Med-Challenger exams. What could be better than having everything you need all in one place? With guidance to recommended deeper dives. Quickly see areas of missed questions. View missed or all answers. Retake anytime. Great for exams. Great for routine knowledge self-assessment. Ideal for Program Directors too because your learners receive a complete cycle of remediation – automatically – before you’ve even checked your assignment results. Find your weaknesses and master problem areas quickly and easily. 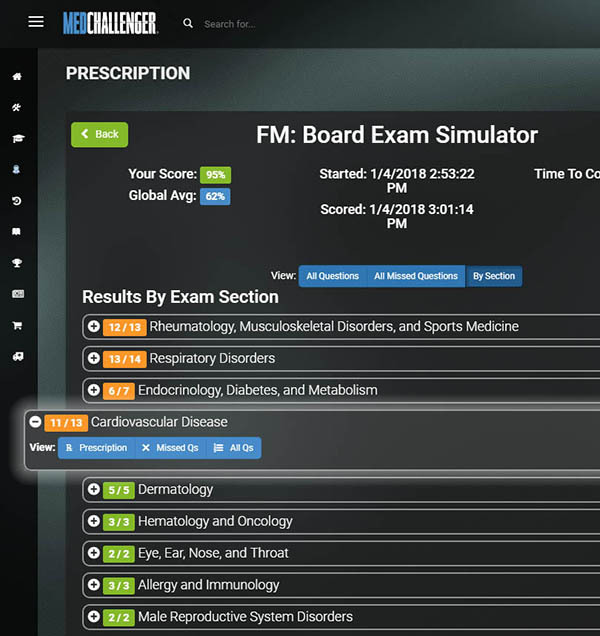 After completion of exam simulations, you get a full breakdown of your results, as well as a “learning prescription,” featuring links to additional remediation content. The “prescription” we provide automatically pinpoints specific topics that could stand to be revisited, and provides you with direct links to further practice exams in those areas. Our Prescriptive Remediation feature enables you to spend less time trudging through content you’ve already grasped, and directs your attention to areas that could use immediate improvement. It is, in essence, a suggested learning path – a map to success. The ultimate goal is knowledge quality repair in the shortest time possible. 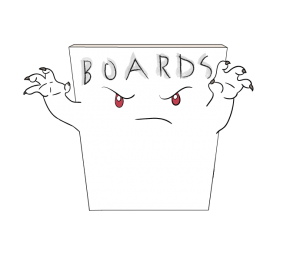 Looking for ways to jump start your group’s education before they ever walk through the door? With Med-Challenger’s Prescriptive Remediation feature, your learners receive a complete cycle of remediation – automatically – before you’ve even checked your assignment results. Start a free full trial. 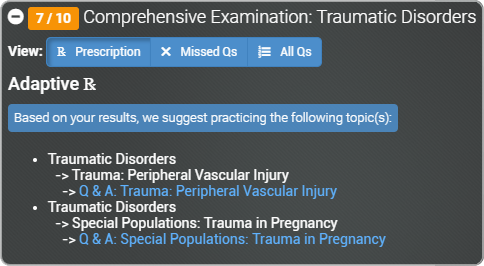 Try a comprehensive exam simulation. Take it once. Then take it again. You’ll see.